where do emmanuel todd’s family types come from? a theory of everything! (almost), biology 101, biology and behavior, biology matters, clannishness, clans, different peoples is different (duh! ), emmanuel todd, family types, general theory of the west, inclusive fitness, mating patterns matter, relatedness matters, the explanation of ideology, the outbreeding project, what's this hbd business all about anyway?, where do clans come from?, where do family types come from?, where do ideologies come from? just to remind everybody — emmanuel todd is a french historian/anthropologist/demographer/sociologist/political scientist who, amongst other things, has (more or less correctly, imho) noticed a connection between family types (nuclear, extended, clan, etc.) and ideology (capitalism, communism, christianity, islam, etc.). see his The Explanation of Ideology: Family Structures and Social Systems (and my previous post “l’explication de l’idéologie”). the fundamental pattern here is that the family types run from small (and individualistic) to large (and communal) — from nuclear families through to community families. the underlying fundamental pattern — the causal factor — is that the long-term mating patterns run from outbreeding to greater and greater levels of inbreeding (to inbreeding+polygamy in many african societies). – the absolute nuclear family found in anglo-saxons (the english), the netherlands, and denmark. todd notes that there is no marriage between the children of brothers in societies where this family type is found. in fact, there has been very little cousin marriage of ANY sort in these “core european” societies since the middle ages (see “mating patterns in europe series” below ↓ in left-hand column) — especially in (southern) england and (parts of) the netherlands (i don’t know about denmark). these are the areas of northwest europe — of probably the world — that have been outbreeding the most, since the early part of the medieval period — and they have the smallest families and are the greatest individualists (although i’m not so sure about the danes…). – the egalitarian nuclear family found in northern france, northern italy, central and southern spain, central portugal, greece, romania, poland, latin america, and ethiopia. again, todd notes there there is no marriage between the children of brothers in these societies, but the key — at least as far as the european societies here go — is that they, too, have mostly been avoiding ALL forms of cousin marriage for a very long time — but NOT QUITE as long, or for as much, as the peoples of the low countries/southern england. The Outbreeding Project of the europeans (as i like to call it) really got going earliest amongst the franks (and the anglo-saxons in kent who had close ties to the franks), and it spread out in all directions across europe from there. so, the populations closest to the early medieval frankish heartland (other parts of northern france, northern italy, spain, portugal) are just one family type step away from the absolute nuclear family — and individualistic, but not as individualistic as the english or dutch. (for more details on these other european countries see “mating patterns in europe series” below ↓ in left-hand column.) i don’t yet know enough about the mating patterns of latin america or ethiopia. – the authoritarian family, which is a type of stem family (nuclear family+grandparents), found in germany, austria, sweden, norway, belgium, bohemia, scotland, ireland, peripheral regions of france, northern spain, northern portugal, japan, korea, jews, and romany gypsies. todd notes that there is little or no marriage between the children of brothers in these populations, but again, most of the european countries/regions included here have avoided ALL cousin marriage for centuries. HOWEVER, they were mostly part a LATER — sometimes much later (e.g. ireland, highland scotland) — wave in The Outbreeding Project, just like the european egalitarian nuclear families above (for more details see “mating patterns in europe series” below ↓ in left-hand column). the japanese, too, began outbreeding quite late — very late, i believe (but i need to find out more). i don’t know enough about the koreans or jews (i assume todd means ashkenazi jews?) to say. in general, gypsies inbreed (marry their cousins) A LOT. so, as the extent of long-term inbreeding increases, the family size begins to increase. – the exogamous community family found in russia, yugoslavia, slovakia, bulgaria, hungary, finland, albania, central italy, china, vietnam, cuba, and north india. todd notes that there is no marriage between the children of brothers in these groups, but in most of the eastern europeans populations here (not sure about finland or hungary), The Outbreeding Project arrived much later than in northwestern europe, and marriage between maternal cousins was not unusual in the medieval period (see “mating patterns in europe series” below ↓ in left-hand column). in some of these groups — like the albanians — maternal cousin marriage is probably still common today, or was until very recently. parts of italy, too, especially the farther south you go. maternal cousin marriage was common in china, especially in the south, for millennia (see “mating patterns in asia series” below ↓ in left-hand column). i don’t know enough about the vietnamese or cubans to say. the northern indians (the hindus) tend to avoid cousin marriage, but marry within castes, of course. so we see again that, the longer the history of cousin marriage, the larger the family size. most of these groups have been marrying cousins for several hundreds of years longer than northwestern europeans, and they have large “community” families. – the endogamous community family found in the arab world, turkey, iran, afghanistan, pakistan, azerbaijan, turkmenistan, uzbekistan, and tajikistan. todd notes that there is frequent marriage between the children of brothers. that is absolutely correct — father’s brother’s daughter (fbd) marriage, which probably originated in the levant, was exported into the arabian peninsula, and spread out from there when the arabs conquered the middle east, north african, and many of the “-stans.” and it just so happens that fbd marriage leads to the greatest degrees of inbreeding possible — and, therefore, these populations have some of the largest family sizes possible (clans and tribes). – the asymmetrical community family found in southern india. todd notes that maternal cousin marriage is preferred here, and the rates of cousin marriage in southern india — and uncle-niece marriage — are very high. so again, lots of close marriages leads to large, community families. – the anomic family found in burma, cambodia, laos, thailand, malaysia, indonesia, philippines, madagascar, and south-american indian cultures. todd says that consanguineous marriages are permitted and “sometimes frequent” in these populations — and that adult children often live with their parents (so these families are larger than nuclear families). i don’t know much about the mating patterns in any of these groups, but if consanguineous marriages are frequent in them, it’s not surprising to find large family sizes. – african family systems found in sub-saharan africa. todd describes them as unstable and polygynous. i know that cousin marriage is common in some but not in others, but i don’t know many details. we shall have to wait and see on sub-saharan africa. but hbd chick — maybe populations with large family sizes simply favor close marriages? perhaps it’s all just a coincidence! no, it’s definitely NOT a coincidence, and we can know that the causal direction is from long-term mating patterns to family size (and various ideologies), because we have the example of europe to show us that. BEFORE northwest europeans started outbreeding (avoiding cousin marriage) on a regular basis — in the pre-christian era — they had large families — kindreds and clans and tribes (for more details see “general” section and “mating patterns in europe series” below ↓ in left-hand column). and the groups that have been OUTBREEDING THE LONGEST — the english and the dutch (and the danes?) — have the smallest family sizes — and are the most individualistic. and the groups that started outbreeding later — for example the irish and the highland scots — they had larger families and even clans until well into the medieval period. same for eastern europe. and in the balkans, many of those groups are still marrying cousins today (or up until very recently), and they still have extended families and clans. it’s not clear exactly what the mechanism is, but it must be biological and is, no doubt, related to the concept of inclusive fitness. the natural analogy (heh – see what i did there?) to draw would be to ants and the other eusocial insects (although i know many myrmecologists/entymologists don’t like to connect eusociality and inclusive fitness) — many of the individuals in these insect populations are very closely related, and, so (probably), they come together in very large family groups. other parallels might be to naked mole rats versus other mole rats or to meerkats, but i don’t know the mating patterns/genetic relatedness in those species. however it actually works, the general pattern is clear: the closer the long-term mating patterns, the larger the family size (and the more family-oriented the populace) — the more distant the long-term mating patterns, the smaller the family size (and the more individualistic the populace — and, yet, more commonweal oriented — at least in europe…). previously: “l’explication de l’idéologie” and where do clans come from? and whatever happened to european tribes? absolute nuclear family, anglo-saxons, biology 101, biology and behavior, biology and culture, biology matters, clannishness, different peoples is different (duh! ), emmanuel todd, england, english, europe, europeans, family types, feuds, general theory of the west, germanic peoples, irreconcilable difference, kindreds, mating patterns matter, medieval europe, nuclear families, outbreeding, relatedness matters, the outbreeding project, wergeld, what's this hbd business all about anyway?, where does culture come from? “Their conclusion? That English, later Anglosphere, exceptionalism, is very real. That the rise of our language and culture to their current unprecedented dominance – what one commentator terms ‘Anglobalisation’ – is based on a series of properties that are either unique to the English-speaking peoples, or shared only with a handful of kindred cultures in northwestern Europe. Among these properties are the common law, representative government, Protestantism, dispersed landownership, civil associations separate from the state and – of particular interest to these authors – the unusual nature of the family. “They show that the Anglosphere dispenses with the extended family structures which, in most places, have legal as well as cultural force. In many societies, the peasant family has traditionally been treated as a kind of collective landowner, within which there are reciprocal responsibilities. Children, even in adulthood, have been expected to work on the family plot, receiving board and lodging. Marriages are typically arranged, and daughters-in-law come under the authority of the head of their new household. Even when the law recognises individual autonomy, custom is often slow to follow. “The Anglosphere scarcely resembles the Eurasian landmass in its family structures. Our notion of the family is limited and nuclear. Most English-speakers in most centuries wanted to set up home on their own, independently, with just their spouse and children – although economic circumstances did not always allow that aspiration to be fulfilled. oh, emmanuel todd! i love emmanuel todd! i disagree with lotus and bennett on two major points. firstly, that the u.s. is on the verge of an economic/societal upturn that will be even bigger and better than those of the past (thus the title of the book). meh. maybe. i’m not so hopeful as they are, but that’s probably just because i’m a pessimist. i’ll be very happy to be proven wrong! “The word ‘culture’ may seem amorphous, something you would know by intuition but cannot necessarily pin down. Even professional anthropologists, whose job it is to study and understand culture, seem to have trouble pinning down exactly what they mean by it. For our purposes, we define culture as the distinctive patterns of behavior within a specified group of people that are transmitted from one generation to the next and are not genetic in origin. well, no … not exactly. “[T]he strictly racial explanation for the Germanic roots of English liberty is simply and demonstrably incorrect. We now know more about human biology and genetics than did the writers of the eighteenth and nineteenth centuries. We know for a fact that there is no genetic basis for the English way of life. There is nothing special in the DNA of any English ‘race’ that especially suits them for liberty…. i’m actually not interested in debating this in this post, but, in response to these passages, i will just ask my one, favorite, hopefully irritating question: where does culture come from? i do want to nitpick a small-ish point with lotus and bennett, though. their main argument is that the anglo-saxon absolute nuclear family goes way, waaaay back — pretty much to, or nearly to, the time of the settlement of the anglo-saxons in england — and, thanks to that, both england and america have been characterized by all sorts of neat things like: individualism, a love of liberty, nonegalitarianism, competitiveness, an enterprising spirit, mobility, voluntarism, middle-class values, an instrumental view of government, and suburbia (a spacious home and backyard for each and every nuclear family). i generally agree with that assessment, although, as you know, i’d throw mating patterns into the mix there — especially that the mating patterns of the angles and saxons and other germanic tribes probably affected their family types, the general pattern being: the closer the mating types, the larger the families (think: the arabs with their father’s brother’s daughter marriage and their huge clans/tribes), while the more distant the mating types, the smaller the families (think: well, think the english with their avoidance of close cousin marriage for ca. 1000-1200 years and their absolute nuclear families). and, of course, i’d toss evolution and genetic differences between populations in there, too. “- They were free people. They were independent minded, individually and in their tribal organization…. – They owned property individually, not communally, and not as families. Adult children and parents had separate and individual rights, not collective rights as a family. yes. but this is a slight oversimplification of the situation. no, the pre-christian germanics didn’t have strong clans, but they did have kindreds which were, in fact, very important in many cases when legal issues arose, in particular in the instance of wergeld payment and collection, i.e. compensation for when a member of a kindred was injured or killed. the members of a person’s kindred in germanic society — and this includes anglo-saxon society in early medieval england — were obliged to undertake a feud if wergeld payments were not met — by the guilty party’s kindred. in other words, two whole kindreds were involved whenever someone was injured or killed by another person. “Phillpotts has effectively demonstrated the weakness of Anglo-Saxon kin groups compared with certain related systems on the continent…. banal lordship, biology 101, biology and culture, biology matters, different peoples is different (duh! ), emmanuel todd, england, english, europe, europeans, family types, france, franco-belgian, french people, general theory of the west, manorialism, mating patterns matter, medieval europe, raccoon alert!, relatedness matters, todd's family systems, we've always been at war with austrasia, what's this hbd business all about anyway? sam worby refers to charles donahue jr.‘s Law, Marriage, and Society in the Later Middle Ages as “magisterial” and there’s no hyperbole in that i can assure you. at a mere 696 pages(! ), it’s a very thorough examination of marriage litigation in fourteenth and fifteenth century england and, what donahue calls, franco-belgia. donahue himself describes the book as “obscenely long.” (^_^) it’s not at all! it’s just very, very complete. and very, very awesome! – primogeniture was the rule of the day in england, while all the kids (or all the sons anyway) inherited in franco-belgia. the last three points are really interesting because those are the same ones made by emmanuel todd in The Explanation of Ideology, only he was referring to more modern times in england and france (1500-1900). it seems, however, that todd’s family types, and their characteristics, for these two nations — absolute nuclear family in england and egalitarian nuclear family in france — go right back to at least the 1300-1400s. another, possibly minor, point to note — maybe it’s not important at all, or maybe it will turn out to be later — is that donahue’s “franco-belgia” seems to be more or less where early medieval austrasia was — and austrasia is significant because, according to mitterauer, that’s where manorialism got started in europe. pg. 604: “It is a characteristic, then, of English marital property patterns that husband and wife hold their property separately and of English inheritance patterns at all levels of society that one child takes his parents’ property to the exclusion of his siblings. In the Franco-Belgian regions, on the other hand, the tendency is to community property between the spouses and to partible inheritance among children…. what a selection pressure! : “English inheritance patterns at all levels of society that one child takes his parents’ property to the exclusion of his siblings.” and going right back to at least the 1300s in england. i would, of course, say we are dealing here with a biological phenomenon. (~_^) i might be willing to go so far as to say a bio-cultural one, though. “Like the property argument offered previously, this argument needs to be spelled out and qualified. The individualism of the separate ownership system of English marital property has to be qualified by the great power of the husband to manage his wife’s property while the marriage lasted and by the expectancy that each spouse had in the other’s land. The individualism of the English impartible inheritance system has to be qualified by the fact that the present holder of landed wealth had responsibilities to past and future generations in the management of that wealth, responsibilities that could, in some circumstance, be legally enforced. The evidence of English do-it-yourself marriage comes largely from court cases, and it may be that a disproportionate number of do-it-yourself marriages ended up in court. Despite these qualifications, however, and despite the fact that great variations could be achieved in the property system by private action, the core systems, the default systems, of succession and marital property in England seem to focus much more on the individual property holder than do the core or default systems reflected in the *coutumiers*. The fact that the default system of succession in England concentrated wealth in the hands of one person meant that in many families, the children who did not inherit were left to seek their fortunes, to a greater or lesser extent, on their own. Similarly, however aberrant the do-it-yourself marriages that we see in the English church court records may be, the records of all those *de presenti* informal marriages are there, and there are few, if any, like them in the Franco-Belgian regime. Similarly, there are many more records of judicial separation in the Franco-Belgian region than there are in England. “The communitarianism of the Franco-Belgian marital property system also has to be qualified by the great power of the husband to manage the community while the marriage lasted. The communitarianism of the Franco-Belgian inheritance system needs to be qualified by the power of the current property holder in many of the customs to prefer one child over another by endowment or testament or both. The evidence of arranged marriages in the church court records needs to be qualified by the fact that many of the *de futuro* marriages in the Franco-Belgian records seem to be informal and made without much concern for family consent (consider, for example, Tanneur et Doulsot). Despite these qualifications, however, the core or default system of property in the Franco-Belgian region remains more communitarian than the English. One simply does not find many, if any, English wives seeking separation from their husbands for incurring obligations *ipsa inscia et absque eius [uxoris] proficuo*. The basic principle of inheritance remains *egalite entre heritiers*. The canonic system of marriage is modified, at every turn it would seem, so that concerns other than those of the marriage partners are considered. “The distinction between individualism and communitarianism that we are seeking to make does not correspond exactly to the traditional distinctions in family types — joint versus stem, horizontal versus vertical, kin group versus lineage, extended versus nuclear — nor does it necessarily tell us much about authority within the family. Obviously, concern for the individual is more likely in situations where family ties are less extended and where authority within the family is weak. Too much depends, however, on the strength of the kinship ties and how the authority is exercised for there to be an exact correspondence between our dichotomy and any of the broader types of family or of authority…. hmmmm. what might the underlying reason for this “anthropological” difference between the individualistic english and the more communitarian franco-belgians be? my guess, of course, would be some sort of difference in mating patterns, but i haven’t come up with a whole lot of data for the medieval french yet (i’ll have to get to work on that! ), so … can’t say much of anything about that possibility just now. “Most important among these transformational processes was the growth of the ‘immunities’ of ‘banal lordship’ (Bannherrschaft, seigneurie banale) that began in the tenth century. This primiarlity involved the manorial estates of the nobility…. Banal lordships of the nobility could practice jurisdictional and other rights of authority related to dues and services — including rights over subject on ecclesiastical estates…. “On one point, however, the English manorial system diverged from the continental one: banal lordship did not take hold in England…. i have to admit that i don’t fully understand this banal lordship business. from what i gather, they seem to have been a middle order of lords (sort-of feudal middle managers) having power/control over a rather local population. if that’s correct, then it’s very interesting that there weren’t really banal lords in england, because that might mean that the english were that much freer to move about or to marry whomever they wanted, which seems to have been the case. if you have a system with local lords controlling what goes on in relatively small areas, then they might very well want to keep the local laborers on the land and not let them marry out very far — we actually have an example of this from the manors of eighteenth century poland. if this is at all correct, perhaps this can (partly) account for the differences between england and franco-belgia that donahue picked up on. if franco-belgia had banal lords that restricted the population’s mating patterns and england did not — well maybe that’s part of the “anthropological” explanation donahue is looking for for why the medieval english were so individualistic while the franco-belgians were more communal and “clannish” (or “extended family-ish”). albanians, bastle house, biology 101, biology and behavior, biology matters, blood feud, civic society, civicness, clannishness, different peoples is different (duh! ), endogamous mating, endogamy, europe, europeans, extended families, general theory of the west, ghegs, inbreeding, inbreeding in europe series, inclusive fitness, kissin' cousins, lock-in tower, mating patterns matter, relatedness matters, spirit of independence, tosks, tower houses, tribalism, vendetta, what's this hbd business all about anyway? “The social structure of the country was, until the 1930s, basically tribal in the north and semifeudal in the central and southern regions. The highlanders of the north retained their medieval pattern of life until well into the twentieth century and were considered the last people in Europe to preserve tribal autonomy. In the central and southern regions, increasing contact with the outside world and invasions and occupations by foreign armies had gradually weakened tribal society. “Traditionally there have been two major subcultures in the Albanian nation: the Gegs in the north and the Tosks in the south. The Gegs, partly Roman Catholic but mostly Muslim, lived until after World War II in a mountain society characterized by blood feuds and fierce clan and tribal loyalties. The Tosks, whose number included many Muslims as well as Orthodox Christians, were less culturally isolated mainly because of centuries of foreign influence. Because they had came under the rule of the Muslim landed aristocracy, the Tosks had apparently largely lost the spirit of individuality and independence that for centuries characterized the Gegs, especially in the highlands. “Until the end of World War II, society in the north and, to a much lesser extent, in the south, was organized in terms of kinship and descent. The basic unit of society was the extended family, usually composed of a couple, their married sons, the wives and children of the sons, and any unmarried daughters. The extended family formed a single residential and economic entity held together by common ownership of means of production and common interest in the defense of the group. 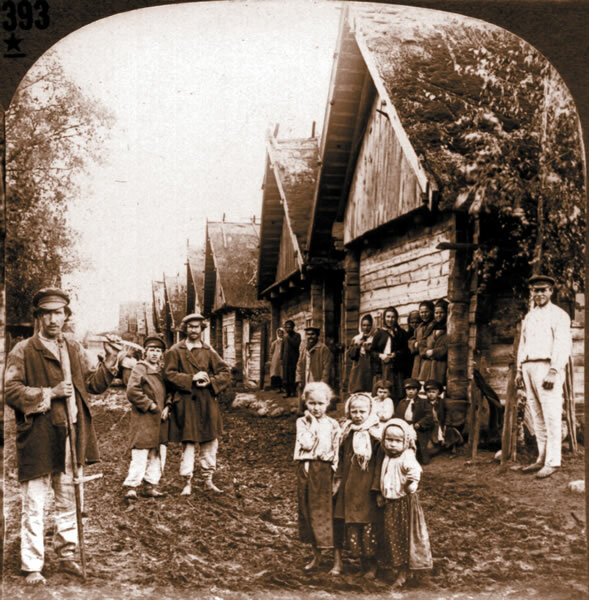 Such families often included scores of persons, and, as late as 1944, some encompassed as many as sixty to seventy persons living in a cluster of huts surrounding the father’s house. “Extended families were grouped into clans whose chiefs preserved patriarchal powers over the entire group. The clan chief arranged marriages, assigned tasks, settled disputes, and set the course to be followed concerning essential matters such as blood feuds and politics. Descent was traced from a common ancestor through the male line, and brides usually were chosen from outside the clan. Clans in turn were grouped into tribes. “People in all the study sites generally want a capable government that solves problems and creates opportunities. A combination of factors — inadequate government presence, poor management of government functions, corruption, and lack of confidence that elections will change conditions — has created a vacuum of authority in parts of Albania. In certain rural locations, particularly in the north and east, there is no functioning government. In these areas, institutions such as extended families/clans are filling the gaps of authority…. Further, Albanians’ wariness of other groups in general — other families, ethnic groups, and religious groups — fragments civil society and confines non-governmental solutions to local areas…. “Two forces are rising to fill the vacuum of government authority — the traditional fis structure, and the small, ad-hoc aid programs of foreign governments and private organizations in some eastern parts of the country…. “A fis is a group of people descended from the same great grandfather. This extended family is bound together tightly by tradition, culture, and a set of rules called the Canun, which were formalized by Lek Dukagjini in the 1400s. The Canun withered under Communism but has resumed governing importance in some areas. As Remzi, a fis elder in Kukes, explains, ‘The Canun is now starting to function because the government is weak … and the government’s laws are not being properly implemented by the state.’ Fis in some areas are now using the traditional Canun, or a modern variation of it, to govern themselves. As noted in the chapter on agriculture, issues of land reform, land use, irrigation water distribution, and other matters are being determined by the fis structure using the Canun as the basis for decisions…. “Fis are found primarily in northern rural Albania (Kukes, Mirdita, and Shkordra), but they also exist in the highlands of Korca and among the Roma populations…. “In each village, there may be as few as 3 or as many as 10 fis. As noted earlier, a fis is defined as a group of those people who descend directly from a common great grandfather. In practical terms, each fis comprises three to four generations. The number of people in each fis can range from fewer than 10 to more than 500 people. The selection of leaders within a fis varies, but there are some common practices. Each fis is led by a male who is elected by other males in the fis. Often the elected leader is the oldest active male, who is responsible for setting and enforcing standards of behavior. He usually does not make important decisions alone, but in consultation with other respected males in the fis, including brothers and sons, and extending to cousins…. “Where the government is totally absent, the committee of elders governs without a government institution by managing common work and the relationships among the various fis. In these situations, the committee of elders uses some version of the Canun to set rules and govern. According to Preng, and elder in Mirdita, ‘I am the elected leader of the fis…. Here, things are settled by the fis and we do not rely on the government. My fis is composed of my uncle, first cousins, and also fourth cousins. When there is a dispute that results in injury, it is not the government that gets involved but the elders who get together and decide the fee. A committee of elders, the wisest men from all the fis, discusses the problem and resolves it based on consensus. When the fee is paid, then the problem is considered resolved…. If the criminal has no money to pay the fee, then he is killed. The fee depends on the issue and how events happened…. “The application of Canun varies by fis. A few apply the traditional Canun, even though they recognize its shortcomings. They feel that, despite the traditional Canun’s weaknesses, it is the best solution in the absence of government. In one area of Kukes, an elder describes the Canun as ‘unprincipled and not fair as the laws. It is very tough and incites disputes and revenge. For instance, according to the Canun, if someone hits you, then you have the right to kill him…. It has some very precise rules, though in today’s society it is hard to implement the rules…. For instance, the Canun does not allow my daughter to bring bread or coffee in the room when guests visit. Women must wear a scarf on their head. A stranger who is visiting your house must not shake hands with your wife or daughter.’ The Canun has returned to an extent that blood feuds have re-emerged. In some areas, such as Shkodra and northern Kukes, families reportedly are confined to their own homes to protect themselves during a feud. In these cases, friends and neighbors bring them food because the family cannot grow their own food or otherwise work while feuding. “Despite the use of traditional Canun rules in some areas, most fis have adapted the Canun to better fit, in their view, the values of the modern era…. i think the long history and current prevalence of blood feuds in albania and throughout the region illustrates that greying wanderer’s characterization of the balkans as “full of people who hate the people in the adjacent enclosed ancient valley” is not far off the mark. so, unlike in western europe where a man is judged by his character and behavior alone, amongst albanians (and i’m guessing other balkan populations) one’s moral character is all wrapped up with that of one’s extended family. this is something we hear throughout muslim societies in the arab world and middle east as well (e.g. all the honor killings) — not surprising when they are very inbred, too. since the ban on marrying relations within the fis only applies to paternal relations, it could very well be that albanians frequently marry maternal relatives — close or distant maternal cousins. i haven’t seen any info on this either way for albanians, but another balkan group — bosnian muslims — actually have a preference for marrying in-laws which includes maternal relatives. some albanians are christians (orthodox and roman catholic), so presumably they more-or-less follow the christian ban on marrying close cousins — as a general rule, that is — although all sorts of europeans regularly work around this. there should be no such cousin-marriage ban amongst albanian muslisms. in any case, albanians are marrying (especially traditionally) very endogamously since they normally marry someone from a fis in the village or, perhaps, a neighboring village. 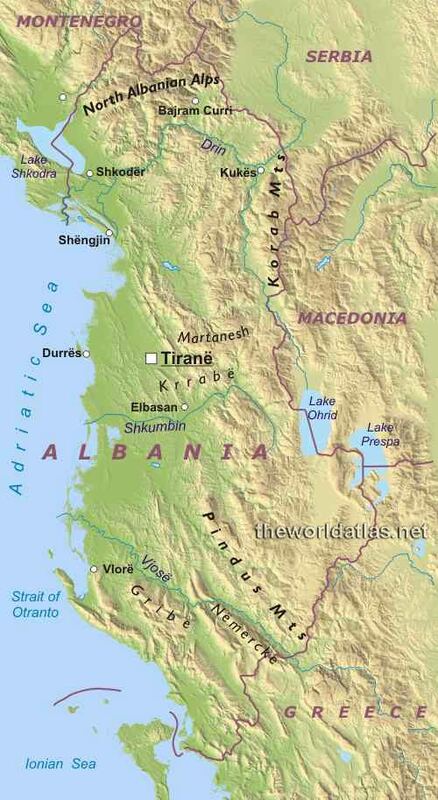 like other clannish/tribal societies, albania doesn’t manage to have a civil society. not in the sense that nw europeans have. clannishness and tribalism seem to go along with inbreeding — either consanguineous and/or endogamous mating patterns — and i think the causation goes from inbreeding -> clannishness/tribalism (although certainly being clannish probably encourages further inbreeding). and the underlying mechanism is, as steve sailer pointed out ages ago, somehow related to kin selection and inclusive fitness. albanians seem to be some of the most inbred peoples in europe — looking at their genomes, they have the highest frequencies of within-country “blocks of ibd” (identity by descent) as compared to other europeans which suggests to me that they’ve been inbreeding for a long time, too. that, i think, is part of the reason for the high ibd rates amongst albanians. given their history, then, it shouldn’t be surprising that they still are very clannish/tribal and don’t manage to build a civil society. – Blood feuds still boiling in Albania – feuding taken to a new level when a 17 year old girl is killed. – The Forgiveness of Blood – movie.